Young’s Foodservice has bolstered its CSR team with the appointment of Marine Biologist, Cameron Moffat. Cameron joins Young’s from the Marine Stewardship Council, and takes on the significant role to help drive the company’s responsible seafood strategy forward. By joining the nation’s number one fish and seafood business, Moffat will play a key part in overseeing the environmental effects of the seafood supply chain. Working closely with the leadership team, he will have a broad range of responsibilities dedicated to driving sustainability in the business. Moffat will also be promoting and developing sustainable fisheries and farms for new species. 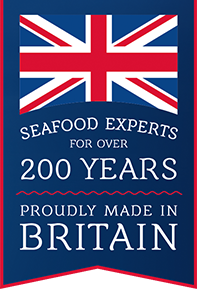 Cameron Moffat, Marine Biologist at Young’s commented, “Young’s is already at the front of sustainable practices and fish welfare; it’s an impressive, forward-thinking business with an exciting future. There is a huge opportunity to grow the company’s sustainable practices even further, and as the market changes and more environmental issues arise, we need to lead that change by ensuring we have the right practices in place.